"Cedar Wind" is the title of my fifth CD. It contains flute solos with no accompaniment. Some of the songs have flute harmony. This album is for those who prefer the ambience of Native flute by itself. There are 12 songs on this CD for a total playing time of around 56 minutes. If you enjoy the clips, you can purchase the CD or downloads through the links below, order by phone +1 (520) 237-5312 or use the form from this website. Specify your choices in the "Notes" section at the bottom. Enjoy! Click here to purchase the downloadable version for $9.99 or individual tracks for 99 cents ea. I fell in love with the Native American Flute back around 1994 after listening to a program called "Hearts of Space" on PBS Radio one Sunday night while falling asleep. I awoke the next morning with an unquenchable desire to find out more about this music. 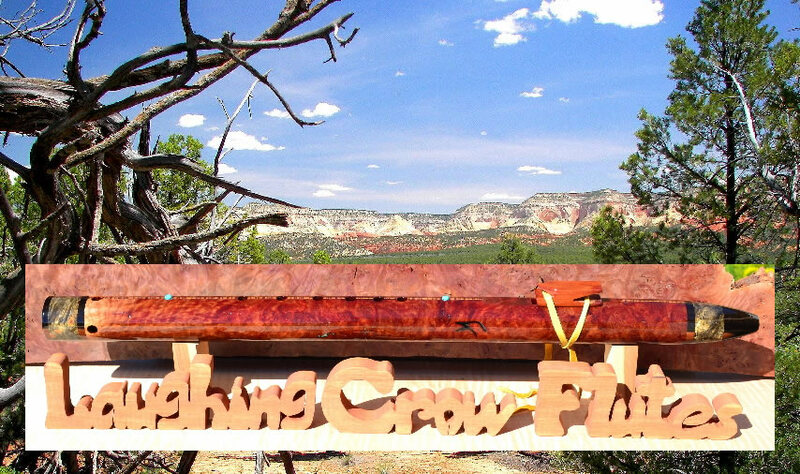 Thus began a life long pursuit of the peaceful, soothing, comforting sounds of the Native American Flute. I have been playing and creating these instruments since 1995. 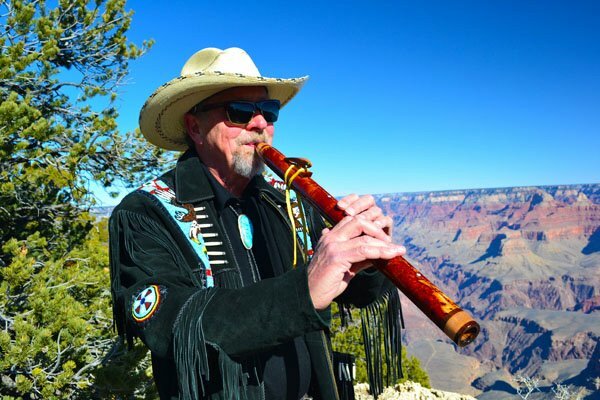 I offer my Native American Style Flutes and Music for your enjoyment and pleasure. Copyright 2018.Laughing Crow Flutes. All Rights Reserved.